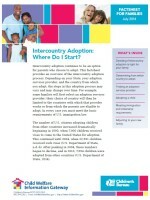 Intercountry adoption continues to be an option for parents who choose to adopt. 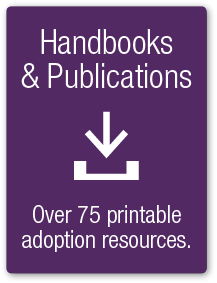 This fact sheet provides an overview of the intercountry adoption process. Depending on your State, your adoption services provider, and the country from which you adopt, the steps in this adoption process may vary and may change over time. 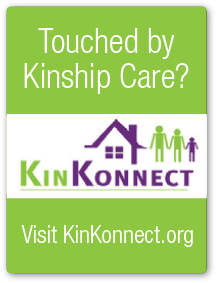 For example, some families will first select an adoption services provider; their choice of country will then be limited to the countries with which that provider works or from which the parents are eligible to adopt. In every case you must meet the basic requirements of U.S. immigration law..